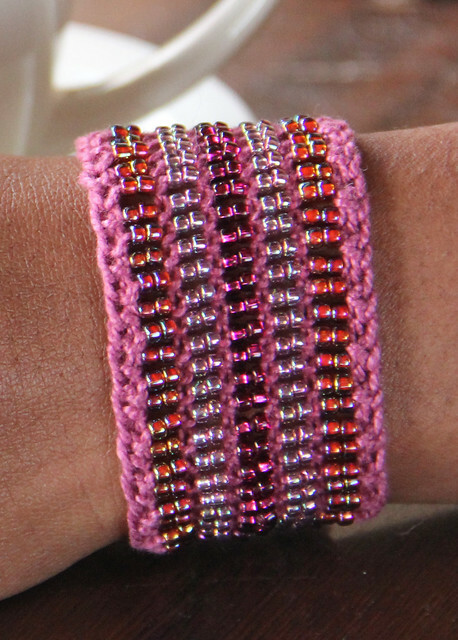 Nelkin Designs Blog: Stereo Cuff! 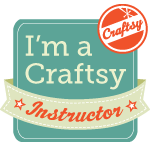 It's the end of March which means the 2nd kit in my Patternworks Knit Kit Club has shipped! Can I get a WOOT WOOT? Stereo Cuff- A Bold Band of Beads! 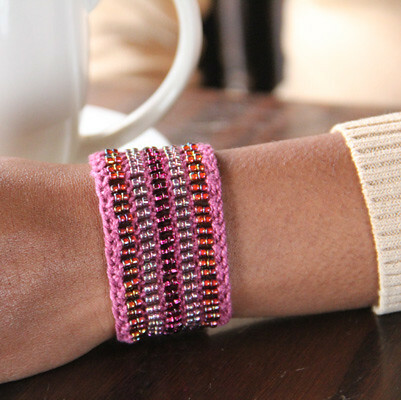 Stereo Cuff is deceptively simple... with only 8 stitches with 3 colors of beads slipped up in between, what's not to love? The kit includes everything you need to make a Stereo in one of three sizes. The kit contains: 10 yards of Mercerized Pima Cotton, 144 (160, 176) Size 8 glass seed beads;pink luster and lavender 72 (80, 88)Size 8 glass seed beads; raspberry, 2 Snap clasps, Dental floss threader, and the pattern with links to video tutorials. For those of you who get this kit, I can't wait to see what other versions of Stereo you come up with once you have the pattern.... the possibilities are really endless! 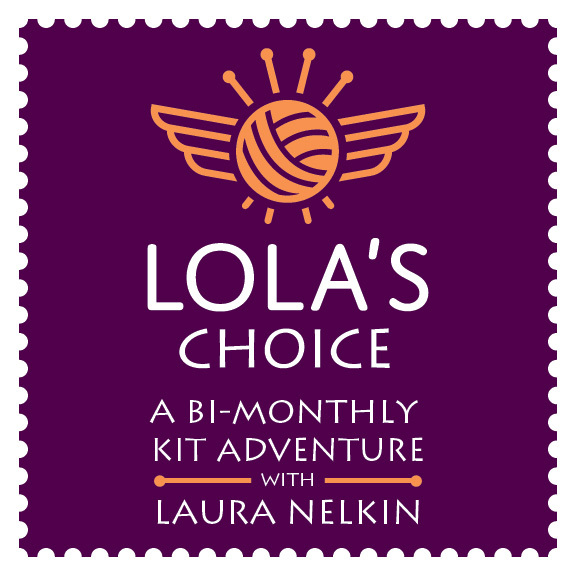 There are still spots if you want to sign up for the Kit Club... it has rolling sign-ups so you will receive the past kit, Cheerio, along with the future ones on schedule. It's been such great fun to see the Cheerio knit up by so many of you and I can't wait to hear what you think of Stereo! And just because I love being a tease... just wait until you see May's kit!!!!! ETA: And the winner of the birthday bag giveaway?#24! 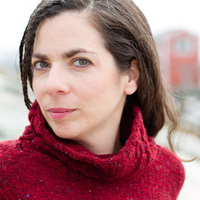 Congrats to Margot Schips! Get in touch with me so I can send it on out! Wooooot. I am standing by my mailbox right now. Yes, I know it is after 9 PM but I cannot wait for my Stereo. Is there an ---eo theme here: cheerio, stereo. What's next? Rodeo, holdthedoor? Cannot wait. Yes, you got the theme! And I like Rodeo! Adding it to the list of possible names! YEEHAW! Squeeee! Thank you so much!! I promise that the bag will get much love and lots of use. YEAH! You are the winner! I'll get your bag out early next week! Congrats! My Stereo came on Saturday! I can't wait to get it started. I especially love the bold summery colors...just what I need to kick winter out the door! I was thinking that this pattern looks easy enough to adapt to different beads and yarn. Good thing, because my 8 y/o is eyeing it up already! One for You, One for Me: A Birthday Giveaway! New, On Craftsy: Lace From the Inside Out!